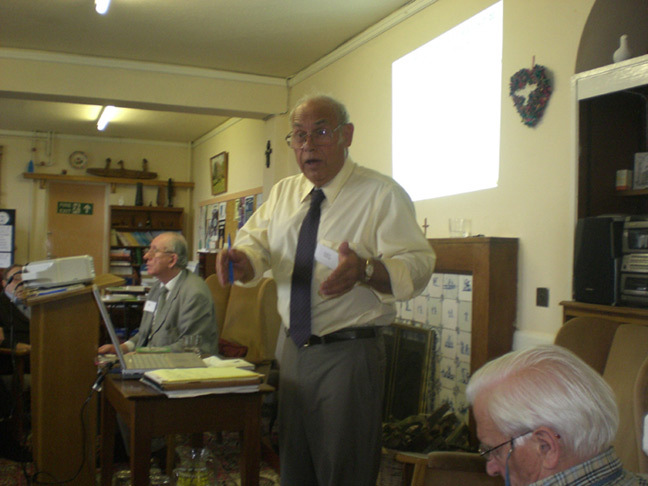 The following was recorded on the morning and early afternoon of Friday 5th October 2007, travelling in the car of James and Dorothy Gibb Stuart, from Glasgow to the Bromsgrove 2007 Conference. It has been transcribed by Alistair McConnachie. 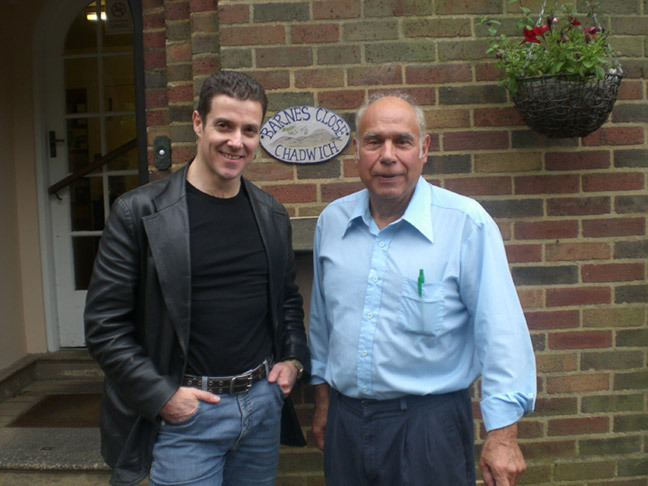 Stephen, you’re the Director of the American Monetary Institute and author of the most comprehensive book on monetary history ever The Lost Science of Money and we’re looking forward to your presentations and contributions at Bromsgrove 2007. Let’s start, with your background and how you got into Money Reform. Where were you born? I was born in 1941 in Chicago. My mother and father both immigrated, separately, from Italy in the 1930s, during the Great Depression, and they moved right to Chicago. In fact they met in Chicago, but they were from close-by villages in Italy. The area is the same area that Cicero came from, I’m proud to say [laughs], and they really did everything they could for their kids. What was your father’s job? He worked on the railroad and really was a good man and helped instil certain values in us. My parents brought us up with a lot of love. In Chicago we had a number of wonderful Universities. I went to the University of Chicago and studied several different subjects and finally graduated there in 1963. I visited Europe and like it a great deal. I was learning French. Really grew up, in a sense, in Europe, which was a wonderful experience. Europe has been through two world wars and the people of Europe have learned from that in ways that we in America have yet to learn. I worked in the financial area, with mutual funds and insurance and real estate in the investment world. I’d been associated with the investment world for decades, when I decided it was time to write the book on money. The thing that really brought that to a head was the first Gulf War. What happened there was that the American people were about 80% against that first Gulf War in 1990, even though the media was promoting it full steam. What I realised at that point, Alistair, was that as Americans, we had lost our country. If the people were 80% against that war, and yet we are to go to war, and it became apparent that the Iraqis were nearly invited to attack Kuwait by our Ambassador — well, when this became known, I was just so disgusted with it. I looked out my window one day, my apartment down in Battery Park — because I was working then in the World Trade Centre — in the commodity trading group there. I looked out the window, and looked down Liberty Street. It was like a canyon and it was all dark…in the shadows of the tall buildings…but at the end of Liberty Street, the sun was shining on one big white building…the Federal Reserve Bank of New York. At that instant, without words, I immediately knew it was time to write the book! And that is when I began, that day! I had a camera handy and I took a picture of that sunshine on the Federal Reserve Bank and you can see it in the very beginning of the book. Wow, that’s a great story! Your interest in monetary reform must have been sparked prior to 1990. What was it that made you look into the system? Was it while you were working in the financial sector that you began to realise something was wrong, or did you have a family history – were your parents reformers? No, they weren’t, but you’re right, there was more of a background. From 1970, I worked in America with a small mutual fund which was invested only in gold shares, and I introduced it to brokerage houses around the country. In order to do that, I had to understand more about the monetary system and began to realise some of the problems. This was back in 1970, when the markets were going through terrible conditions. Inflation was rampant. People were being fired from their good paying jobs. This was the point in time when the International Monetary Fund, the IMF, surrendered to currency speculation. They had a choice in 1970, 71, 72. They had a choice! They could have curbed currency speculation, which is destructive, uncalled-for and absolutely not what currencies are supposed to be used for. A currency system essentially is set up to facilitate production, trade of real goods, and as a means of paying for that process. To turn it into a speculative gambling house where vast amounts of currency get moved from country to country at the speed of light plus 30 seconds — electronic communications are moving at the speed of light, but it takes 30 seconds to put the phone call through — that ends up destroying the ability of currencies to carry out their true function in terms of facilitating the creation of values for living. It turns them into engines for promoting the engines of death. That is what currency speculation has done and the IMF had a choice. It could have stopped it, but it didn’t lift so much as a finger to stop it. Those decisions were made roughly in 1970-73. So, I was watching that, and understanding that the system was sick. At the time, I thought that gold was a part of the answer. And that reflected an immaturity in the readings in the area. It’s a normal thing. People in monetary reform go through a gold phase. Even Thomas Jefferson did that. He went through a period where he thought gold was important but came to understand that money is a fiat of the law. That took him about 20 years. When you started to examine the area, what monetary reform works did you study? That’s a very good question. Here’s what happened. At that point in time, about 1975 I was very fortunate to read several works by Alexander Del Mar, and he turned out to be the greatest monetary historian of all time in America. I read those books and Del Mar understood — he also went through a precious metals phase — but eventually through reading for 30 years, he came to understand the fiat nature of money and wrote that way. And as I was reading I realised that if Del Mar is right and all this stuff about gold is wrong then most of the monetary reformers in America are making a mistake. I say “reformers”, they were not really reformers, they were interested in it, but they are what we call “gold bugs”, and who came to it, as I did initially, through investment…you find that a lot of the gold bugs are connected with gold coin companies, or gold shares. They are making a mistake. They are confusing an investment with money — something which is a good investment is no good for money because you want an investment to be going up. You don’t want money to be going up. Everybody who is in debt, usually the producers, have great difficulty in paying off debts because it ends up that the debts keep increasing and they pay back more than they receive. So I put Del Mar aside at that point, but the ideas kept operating in my mind and when I was ready to start the book I took the books by Del Mar out again and re-read them. I thought it would take about two years because I’d been involved in the area of finance and investments most of my career. I thought I’d have to read about 15 volumes to fill in the various gaps that I knew were there. Well, Del Mar led to about 20 other excellent sources, and each of those led to another 20 good sources, and so on. And about 800 source materials later and 12 years of reading and writing, the book was finally ready. Had I known it would take that long, I would never have begun the project! But what happens is that when you are in it for 2 years, well, you keep going. When you’ve been in it for 4 or 5 years you have 4 or 5 years of research and work in it, and then you can’t stop! You have to finish it. And that is what happened. It took 12 years. I did it chronologically, which was the best way of keeping track of it in my mind. We started with the first period, then proceeded to the next and so on. Since I did the research that way, it is also the way the book is presented. It makes sense, much more readily that it would it you try to chop back and forth between modern period and ancient period. At what stage of writing did you establish the AMI? In 1996 we realised that since the research was going to continue, it would be a good idea to put it into an institutional format, which is tax exempt, so that people who would help us would be able to deduct that from their taxes. And so we set it up as a charitable trust. “We” being, myself and our co-founder, Dr Lucienne De Wulf. When you started off, you were thinking that gold was part of the solution. When you finished, 12 years later, why had your ideas changed? One of the wonderful things about doing this kind of research is what you learn, and I learned that gold was not a part of the answer. In the historical studies, you could see that gold was part of the problem that the banking establishment — we could call it the financial oligarchy, whatever form it was taking — was able to easily manipulate. Aristotle gave us the science of money. Del Mar gave me the keys to rediscover it. That science was laid out by Aristotle when he summed it up in one sentence. He said, money “exists not by nature, but by law.” So he is telling us that money is not something that comes out of a mine. It is something that comes out of society. It is a legal power of society, and that was quite different from where I had started. I would say to the gold people, “Look up the history of the price of gold because it is just not true!” What we find by looking at the gold prices is that gold is extremely volatile. I’ve published, in the book, what happens to gold during different periods. We have periods where gold and silver lost 80% of their value and never recovered, for example from 1500-1650, where gold was being stolen from the Central and South American Indians. Essentially the money supply of Europe rose about 4 times and the value of gold dropped 80% during that period. Now some would say, “Oh that is going way back to the 16th and 17th centuries.” Well, OK, lets go back to 1918 through 1926, 27. We had the value of gold dropping 60% in just a short period. So, that was a gold inflation in the modern times. So the gold bugs should understand that gold is volatile. It moves up fast, it moves down fast. Even more recently, go to 1981. Gold was at $880 an ounce. It dropped down over a period of 15 years to $232 an ounce. Gold is volatile. Now the gold bugs try to say, “Well, that is not really gold changing. That’s the dollar changing.” But that is crazy. The dollar didn’t change that much. Gold is volatile — it’s a fact. What do these gold bugs want? Do they want the currency to be tied to gold? They don’t have a clear solution. They talk about “going back to a gold standard”. But we never really had that! Even when they think there was a gold standard, it was always mixed with bank paper. And the reason for that is demonstrated eloquently by William Hixson in his 1993 book The Triumph of the Bankers, where he shows that the production of gold does not keep up with population growth. So if you are going to base the money system on gold, you have constant deflation, that is, constant increases in the value of money. The problem the gold people have is that they are confusing money with wealth. Aristotle’s definition separates money from wealth. If you don’t separate money from wealth, if you define money as wealth, then the wealthy are going to control not only their own money, they are going to control the monetary system — which belongs under societal control. It should not be controlled by particular interest groups, or cliques or so- called elites. So, the mistake is a psychological one. They are confusing their investments with money. Now, to play devil’s advocate. Say there was a breakdown in society – the “nuclear war” scenario. Paper money would become worthless. And all these gold coins which they’ve got buried in their back yards, and all these diamonds that they are hoarding would all become valuable, because they could be traded. I guess you could say that, but you know what would be more valuable than gold? Sewing needles and practical things! But seriously, if we get that kind of situation, well, most of us are going to be so demoralised that we are not going to go forward. So we have to make sure that doesn’t happen in the first place! To gear one’s thinking for disaster is not the way to proceed. First of all, you make the disaster more probable, and palatable to yourself and secondly, that is not what man is here for — to end up in a nuclear war which wipes out civilisation! That would make such a joke out of all human existence. The availability of the things that people value would become almost non-existent. You are not going to have a car because there would be no gasoline. You are not going to live in the kind of houses that you live in today. We have to avoid this lifeboat type of planning. That doesn’t mean you should not have a handful of gold and silver coins, just in case, but don’t devote your life to that kind of thinking! Some in the Muslim world want to support the idea of a Gold Dinar, as they see it as a way to combat the international globalist system. They see a sort of refuge in gold. If you were speaking to their leaders, what would you say to them? That’s a very interesting question. We’ve just written a paper on that and we speak about it in our book. Here’s what we said to them: It is not a solution for Islam because it won’t work! There is not enough gold! Firstly, it will create tension between Islamic countries as they struggle to grab more and more of the gold supply. That has been one of the causes of war between Western countries in the past. There is another reason. The Prophet Muhammad himself instructed his followers that fiat copper coinage was to be valued as equally as gold or silver coinage when trading. We quote that in our book in the section on Islamic monetary developments. So, Islam’s own traditions favour fiat money. There is also the problem that it might end up fomenting tension with the West. For these 3 reasons, we’re against the idea. To finish off talking about gold; what do you say to those who fear that fiat currency is a license for the government to inflate the currency? There was the assumption that gold doesn’t change, but as we’ve shown, the value of gold changes all the time — for example, with the supply of gold, and the supply of stuff that it purchases, and with the supply of labour, and with the population. Money should be relatively stable, but it doesn’t have to be absolutely stable over time, but it should maintain its value in general. Not in an absolute sense because the value of money can change as conditions in society change, as economics change. The present currency system has to be changed. It is unjust internationally, but also internally within nations, where it favours only the financial segment of society. There are ways of avoiding inflation. Regarding the American scene, are there any prominent politicians pointing in our direction, even in a small way? The answer is yes, but not all of it is public. Senator Chris Dodd is Chairman of the powerful Senate Banking Committee. He understands the money system. He hasn’t talked about it but I know he truly understands it. Another is Congressman Denis Kucinich who has made some monetary remarks in a recent debate indicating a desire for the government to be controlling its monetary system, and that is major progress [see Prosperity, October 2007 at 1] and a third who has gotten attention on the Republican side is Congressman Ron Paul. He is actually standing up to the Federal Reserve System. The interesting thing is that he is addressing the causes of so many of our problems, not just the consequences. We respect his standing up to the Fed, even though we don’t agree with the solution he is proposing. Is the Fed publicly or privately-owned? Yes and no [laughs]! It is essentially privately-controlled. To say, it is “privately-owned”, well, to the extent that there is any ownership, it is private. That is, the only part which has ownership is the 12 regional Federal Reserve Banks and they are owned by the member banks according to a formula of their size. They have to buy shares. The shares are not traded. The shares are very restricted, very limited. So it is a strange kind of ownership that is attributed to the owner banks. There is no other ownership. Some people think there are shares of the Washington Board. There are not. Occasionally you see rumours, that the Fed is owned or controlled by “the Rothchilds”, or “the Morgans”, but that kind of statement really serves more to stop us examining carefully what the Fed does and how it operates. It detracts from a careful examination of the banking system. So, what people have to remember is that the Federal Reserve is not in the Executive branch, it is not in the Legislative branch, it is not in the Judicial branch of our government. Those are the only 3 branches of our government. So it is also inaccurate to say the Fed is a “government owned” institution. Yes, it would be inaccurate to say that. Granted there is an ambiguity involved — because the President appoints the Washington Board for 14-year periods. But once he appoints them they are out of his control for 14 years. There is only one appointment for them. They don’t get a second. And he appoints the Chairman for 4-year periods. So there is that ambiguity. But you don’t find a Ralph Nader being appointed to the Federal Reserve! It is essentially dominated and controlled by the banking fraternity. Can you explain your reforms please? Our reforms are determined from historical example. Our methodology is to look at the facts in monetary matters which are found in history. It takes so long for a monetary system to function and make itself clear. The first reform is to bring the money creation process into the government. And that is done by nationalising the Federal Reserve Banks, all twelve of them, and then of course, the Washington Board. Only the US government would create money under that system. We would not want to dismantle the Federal Reserve because it has a tremendous amount of knowledge which should be saved — knowledge of how much money should be in circulation at different times, even in different cities. We have paid for that knowledge, it belongs to our country, we don’t want to destroy that knowledge or throw it away. That’s the first part, nationalisation of the Federal Reserve. Now for all those characters who tell us the Fed is already a part of our government, well then fine, they shouldn’t mind too much if it gets nationalised! Secondly, the commercial banks — the private banks — will no longer be able to create money. People think that our money is created by the government. It is not! It is created by the banking system when it makes loans. We realise this money is in the form of credit that they put into our accounts. Whenever they loan credit into an account they are essentially creating what is money in our system. So in effect, the banking system is creating what we use for money. Under the American Monetary Act, this is no longer allowed. Banks have to have a full reserve for their loans in the sense that if someone has a checking account the money has to be available there all the time. Now rather than phrasing this as a reserve requirement, we prefer to phrase this in the following way — Banks can lend money, but they cannot re-lend credit that is deposited with them. These first two parts are drawn from what was called the Chicago Plan, which came out of the University of Chicago during the Great Depression — these were in its better days before the University went over to the dark side of monetarism and worship of free markets. Henry Simons was the creator of the Chicago Plan and he devised an extremely elegant solution to moving the banking system from its present condition to a condition where all the money in the system was real money and not credit — not private bank-created credit but government-created money. And the way to do it was this. Rather than telling the banks to get to full reserves by calling in their loans — which would be impossible because that would collapse the entire system — the government would loan newly created US money to banks, if necessary, to bring their reserves up to match 100% of their loans, so that they had loaned real money. This is a truly elegant way to turn all the credit that the banks created and loaned out, into real government money and it renders the banking system as a mere intermediary in that process, where they get some compensation for their work but where they are not the creators of the money. Now, those first two parts come from the Chicago Plan and they were promoted and agreed upon by all the best economists in the land and it was expected that it would be enacted into law in the 1930s, but they did not understand the political process well enough to manage that. The third part of the plan, we’ve added based on our experience in the past, based on our experience with the nationalisation of the Bank of England and other developments which have occurred. Since we have removed the power of the banking system to create money and since it is still necessary to have new money in society as population and business grow, the government would spend new money into circulation on infrastructure. We would start with the 1.6 trillion dollars of infrastructure that the American Society of Civil Engineers says is needed to bring our infrastructure up to reasonable levels. That would take several years. The present rate of creation of money is about $800bn a year in 2006 for example. In addition to the hardware infrastructure, we include both health care and education as part of the infrastructure, and that means a universal availability of education dictated more by the person’s ability to learn and study than by their ability to pay. Universal health care, as offered by any industrialised country in the world at present! Well, here’s how. Let’s remember that the government is paying for infrastructure by creating new money — not credit, but money! They are spending it into circulation, with no interest charged. A couple of months ago a major bridge collapsed in Minneapolis because the infrastructure of our country has deteriorated to a danger point — and it’s not just bridges, but dams. 10,000 of our 80,000 dams are in danger of collapse according to the American Society of Civil Engineers. So that bridge in Minneapolis needs to be reconstructed. How would it work? Contractors would bid for the job in exactly the same way that they do now. The job would go to the best contractor based on his experience, his price and the terms of the bid. As that programme continues, that contractor gets paid by the government, and the contractor has to pay his workers and suppliers, he has to pay for the concrete, the steel, all the machines and so on. What do these people do with the money? Well the workers pay their mortgages, they pay the shops, they pay their school bills — what do those people do with the money? Ultimately, the money created by government and spent on infrastructure, gets deposited into the banking system because that is what people do with their money, they put it in the banks. The banks, under our system, would be in a position then, to loan that real money. They are not loaning credit anymore, they are loaning money. That’s the difference, and the banks would have to attract deposits from people in order to make their loans, or they would have to attract investments from people in order to make their loans… which would become available in large amounts, since under a part of our plan, as the national debt becomes due month by month, it gets paid in new government-created money — the bonds are not rolled over — and all of that capital that’s paid out would be available to invest — but it would no longer be used as a method of creating new credit. It would shift the economy into reality, out of usury. How do you define “usury”? We define usury in the classical sense, meaning the classical scholastics from about 1100 to 1500, as the misuse of the monetary system, not simply the taking of interest, because the taking of interest, in itself, was not usury. Jeremy Bentham has mis-defined “usury” as taking more interest than is normal. Actually, in his work on it, he defined usury out of existence, which may have been his purpose. But it is not just taking interest. Interest was always allowed on certain conditions according to the rules of the scholastics. It is an anti-social misuse of the monetary system. Let’s talk about the green movement. What’s your opinion on the trend towards localism, and while you’re speaking on that can you also address the idea of community currencies. I am happy to say that the Green Party in America is progressing towards monetary reform ideas. They invited me to speak at their National Convention at Reading, Pennsylvania, on July 12th, and my talk, called, “Greening the Dollar: Reclaiming Democratic Values Through Monetary Reform” — which I’ll be summarising at Bromsgrove — went over really, really well there. Regarding localism, I have mixed feelings and it depends upon what it is for. If it’s localism to build community and get people away from their television sets and into local projects which are best done at the local level, then I’m all for it. The only caution I have is that when you have an issue which is necessarily a national issue, that whatever you can do at the local level is fine, but don’t give up the national arena to the bad guys! For example, in local currencies, and we talk to people trying to do local currencies, and we usually do it from a historical viewpoint — what we like about that is that they understand there is a problem with the national currency and they are trying to learn about it and do something about it and that’s a terrific opportunity in terms of education and growing awareness of the nature of the problem and the solutions which exist. The caution firstly is that it is very difficult to localise the currency — people can only point to “Ithaca Hours” and the “Berkshires”. But none of these things, even if it is possible to get them to work and provide some assistance locally, will not and cannot stop the dispersal of injustice from the national level. They don’t in any way stop the ability of the private controllers of the national currency to go to war. They don’t stop the misuse of the national currency. From that point of view, we need to be careful. In America, as in most countries, we are used to being able to trade with each other and that requires one currency for the country. It really is a national issue. Now, I don’t think any of us is thinking along the lines that there is not going to be a nation in our lifetimes and our children’s lifetimes. So if there is going to be a nation, there is going to be a national currency, and so why not fix it when it’s broken! It is broken and we know how to fix it! It takes a bit of effort to fix it, but probably less effort than attempting to set up local currencies! That bridge in Minneapolis, for example, can’t be rebuilt on local currencies. It requires a national contribution. Also regarding localism. What worries me is the withdrawal of the thinking people from the national level, and even to an extent from the local level. I watched all this begin in America. It began as I was graduating from the University of Chicago. We were all asked to write an essay, on, I paraphrase, “Yes, as graduates we should participate in political matters” or “No, as graduates we ought to stay above the fray.” What I realise years later is that question should never have been asked. Today, we have a situation, thanks to the “hatred” of government which has been built up and nurtured — which really came out of economics, and we detail that in our book The Lost Science of Money, how this attack on government was started by Adam Smith himself, father of economics – where some of the brightest and best are withdrawing from the national scene. And I wonder, and this is a question, I am not putting this forward as a belief — is there some connection between some of the brightest and best going local and staying out of the national scene and the horrible things which are occurring from the various — you could even call it gangster elements — on the national scene? Excellent point! That is a reason to have reform to our national currency, because we already have the knowledge to build 21st century infrastructure, which is sustainable, that is environmentally friendly, that gives us the kind of world we want, that helps us clean up the environment. We cannot do it with a 20th century monetary system. But we can do it with our monetary reforms! Well, that is the word they might use. They think they can scare me with a word. I am not afraid of words like that. First of all, what do they mean by that? To these people it is just a smear word. I don’t support “socialism”, or “capitalism”, or any “ism”. As soon as you have an “ism”, you have good things mixed with bad things. What I try to do is focus on the good things. To try to support systems that embrace those good things. Now, the fact is that human beings have a dual nature. We are individuals and we are social beings, and as such we have to recognise that and recognise that there are things that we have to do individually, and things that we have to do socially as a group. The free marketers can sometimes seem to ignore the fact that there is a need for social activity, yet they are taking advantage of the fact that it exists! The profits they are getting can only be there so long as there is a functioning social system. If you were making your case to Republicans how would you try to get through to them, bearing in mind that they would be coming from a generally free market position? That’s a good question. We want to be able to reach all people, and it is important to keep that as a goal. At the same time, where it is impossible, we don’t want to waste our energy and time. In this case, one of the approaches that I’d use with them is to focus on methodology. I would point out that theories are supposed to explain and conform to the facts — and this is a problem in the type of economics which most Republicans favour, for example, the Austrian School of Economics, where one of its leading members, Ludwig Von Mises, actually tells us, more than once, that his theories cannot be disproved by mere facts! I would point out that this is ridiculous. I once gave a talk to a group of international philosophers from peace organisations and described some of the methodology that economists use. I had them laughing in the aisles. My point to them was that they have the standing — since philosophy is to determine how we know things — to decertify economics as a science pending improvements in definition and methodology. In addition, we are not against the free market in the sense of the right meaning of the term, but what the Austrian school has done is to equate the free market with the removal of all governmental regulation and control and that is a huge and terrible error. The truly great economists which we had in the United States from the early ’30s which included Henry Simons and others, from the University of Chicago, people who trained Milton Friedman, these people were strong supporters of a free market, but to them a free market meant that all the utilities would be government-owned. And they strongly favoured governmental regulation for the simple reason that the only way you can ensure free markets is under that type of regulation. Markets do not automatically monitor and guide their own freedom. The reforms that we are advising, were actually favoured very strongly by one of the Republican icons in economics — Milton Friedman. When this movement grows, do you think it risks being taken over by groups with a particular ideology who want to use it for their own political purposes, whatever those may be? Good point, and I think the answer is that there is a danger of that and so we have to be careful. We’ve been careful on that from the beginning. As the AMI, we have everything coming at us one way or the other and while we can’t mind read, we look at the effects of what they are doing and we can see cases where what you have just described is happening. We are careful not to allow them into our thinking and our programme. Also, we have a kind of built in protection here, and it is the following. What we have defined with our 3-part American Monetary Act is the 3 minimum conditions necessary to put time on the side of justice, because once time is on the side of justice, things will happen in humanity’s favour over time, rather than against us as at present, and we can operate in a much more relaxed manner. So, since these are the minimum actions, it is not going to be easy for anyone to talk us out of them. The way we have formulated this is such that we are not trying to make all the changes which would be desirable and that will eventually occur once these 3 minimum actions take place. So by limiting ourselves in that way we also protect what we are trying to do. One area that helps us keep this process clean and good is when we get funded. Funding is a key thing. It gives us time to examine things more closely. It gives us time to communicate better and it is the hardest part of what we do. In America, some people imagine that non-profits are well-funded. Well, some of them are, but some of the most important ones — and we are one of those — don’t get handed a lot of funds. We began the AMI without an endowment. We began it with a donation from one expert money reform thinker with 150 copies of his book. We continue so long as donations come in, so long as people are purchasing our books and research and making the effort to come to our Conferences. Stephen, thank you! We’re very privileged to have the benefit of your insightful knowledge. Thank you also for all the valuable work you’re doing, and for writing the book. We wish you and the AMI all the very best for the future. Thank you Alistair for this opportunity to express some of our positions. It is through this type of interview that people learn about us and it is deeply appreciated. Thank you! The Lost Science of Money is a 724-page, profusely illustrated, fully referenced and indexed, high quality hardback. It is available for £80 payable to Prosperity at the address below. 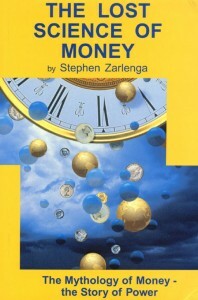 See also our interview with Stephen Zarlenga in the June and July 2004 issues of Prosperity which you can purchase by clicking the link below.